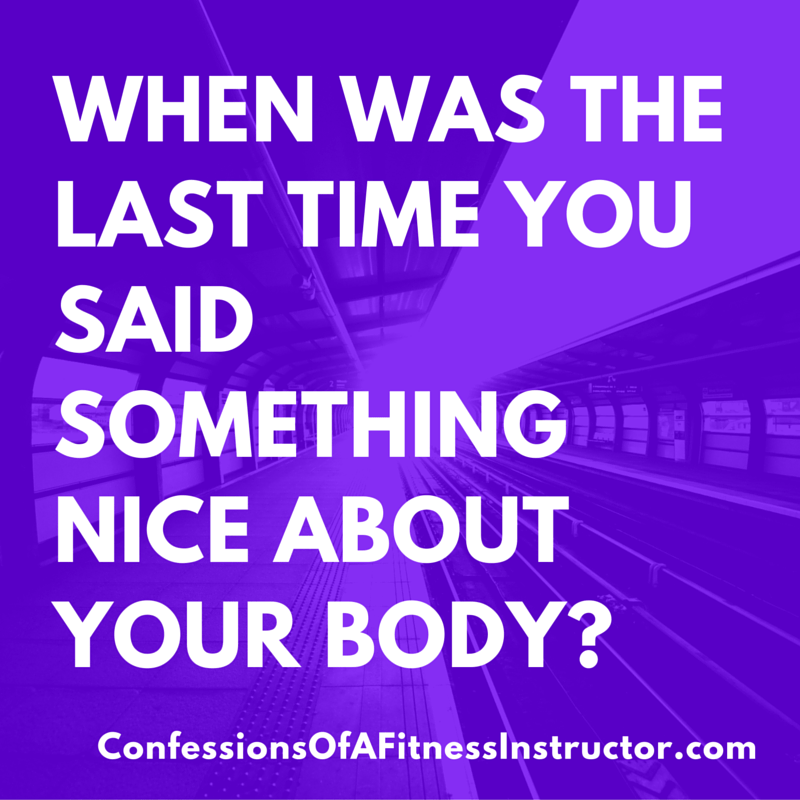 When was the last time you said something nice about your body? Let me guess. You can’t remember. How about this – when was the last time to thought something negative about your body? This morning? Last night? Last week? 10 minutes ago? I bet you don’t have to think very hard do you? For me it was this morning. I’ve been participating in the DietBet game I am coaching and it’s almost over. I got on the scale today to see how close I was to my “goal weight” in order to win, and instead of being 2.5 lbs away like I was on Friday, I am now 5 pounds away. I ran a half marathon on Sunday morning and it’s likely that has something to do with the inflated number (as I certainly haven’t over eaten enough to have gained weight). But even knowing that, I was annoyed, frustrated and angry at myself. I remember thinking, “What’s the point?” as I tossed the scale back into the closet and thought eating an entire box of cookies (Girl Guide. Chocolate Mint. Enough said). Back on Friday I was annoyed because my weight was higher than it had been the previous week, but I assumed that was because I had been upping my carbs in preparation for my race on Sunday (and therefore I was retaining extra water). I figured by today, I should be heading back to normal. I guess not. I tell you this story not because I want your sympathy or pity, I share it because I know that the majority of us have those types of conversations with ourselves every single day. And it’s easy to forget that what we see typically isn’t what others see. We tend see and focus on only the negative, while others tend see only the positive. That’s why I love the new #OwnIt campaign from Special K. Not only does it remind us that we are way too hard on ourselves and we need to start loving our entire body, and owning what we can do because of it! We need to start to let go of these negative feelings and thoughts that don’t serve us. While I might not win my DietBet game this weekend, I did run a half marathon in under 2 1/2 hours 3 days ago. A a PB for me even though I weigh 15 pounds heavier right now than I did for previous races. I know that I am much more concerned about my higher body fat percentage than anyone else is, so why should I allow it to run my life? I’m still going to work to lose a bit of body fat, but in the meantime I’m not going to beat myself up for focusing more on performance that the number on the scale. I’m not going to choose not to eat food that my body needs to function well just to keep my calorie intake lower. I’m not going to skip rest days to burn more calories even though I know my body needs to rest. I’m not going to allow my insecurities to run my life. I’m not going to not eat any of those delicious Girl Guide cookies (for the record, the box hasn’t yet been opened) out of self hatred. I’m going to start saying more nice things about my body, and fewer negative things. I’m going to #OwnIt and I hope you will too. Disclosure: This is a sponsored post brought to you by Special K’s #OwnIt Campaign, for which I am an ambassador. All thoughts and opinions expressed are entirely my own. No. 1 I love that commercial for Owning It and Special K.
No 2 I have lots of things that I don’t like about my body, but I worry less about it than I used to. Yes! When coaching people I pretty much tell them NOT to get weighed more than once/week (preferably once/month or less) because it can be such a downer. It’s a nice metric to know, but we can’t let it, or stretch marks/wrinkles/cellulite/whatever rule our lives. 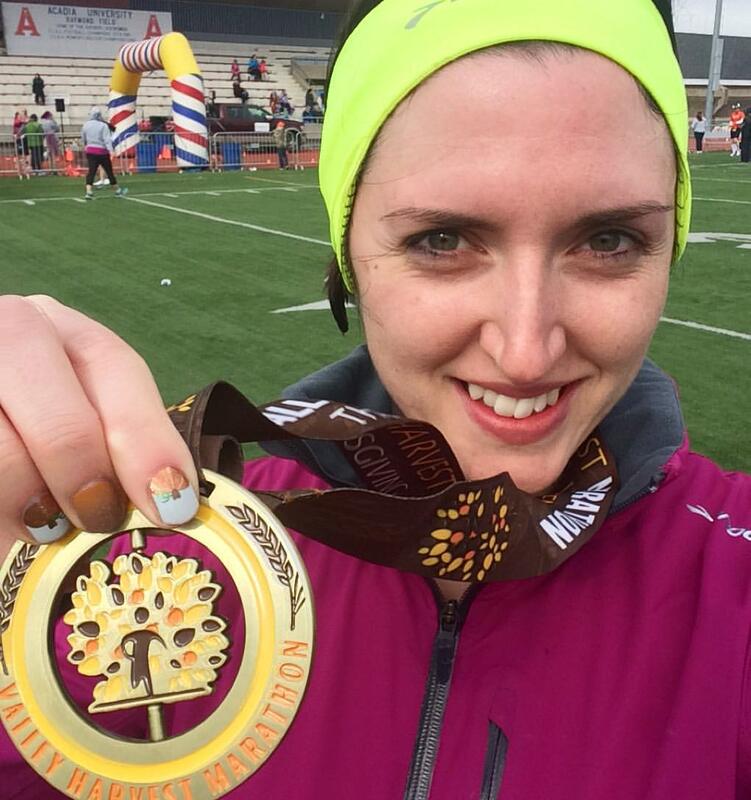 And you just ran your first 5K not long ago – that’s a fantastic accomplushment too! So much cooler to tell people than telling them you lost 3 pounds! I agree, body image is a tough thing for most women. As someone who used to weigh over 200lbs, and who lost 80+ pounds, I still struggle with it daily. Some days, I look at myself and think, you look good today. Or, the flip side, I think, ugh what is going on? The negativity has lessened in the last couple of years for me, but not as much as it needs to. Bottom line is, we are all beautiful and need to love ourselves and our bodies. I find that support, especially from the online running and fitness community helps a good deal with this. We need to stick together! I love their new campaign. It has a great message and sometimes it’s one we need to repeat to ourselves. Thank you! And yes, sadly it’s a message we need to be reminded of almost daily :/ One day it’ll stick!